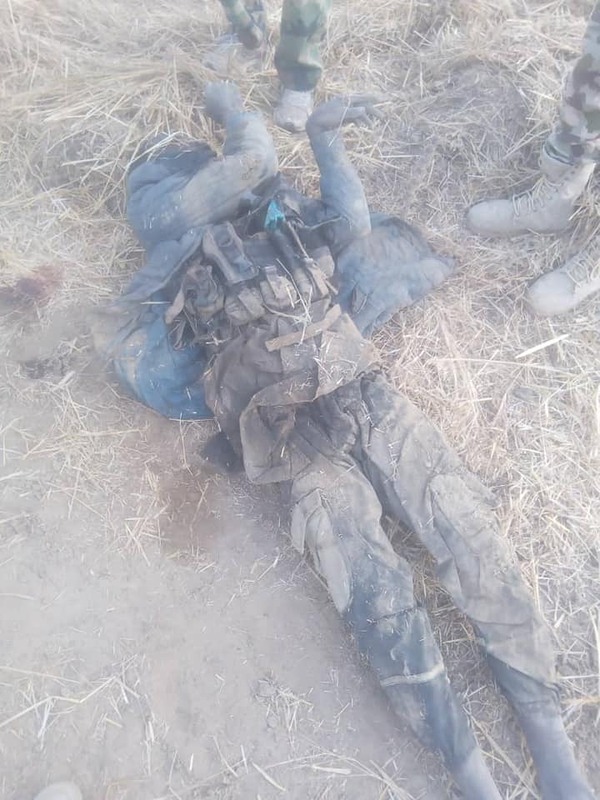 Some deadly Boko Haram terrorists have been killed with a soldier losing his life during a bloody attack in Adamawa. 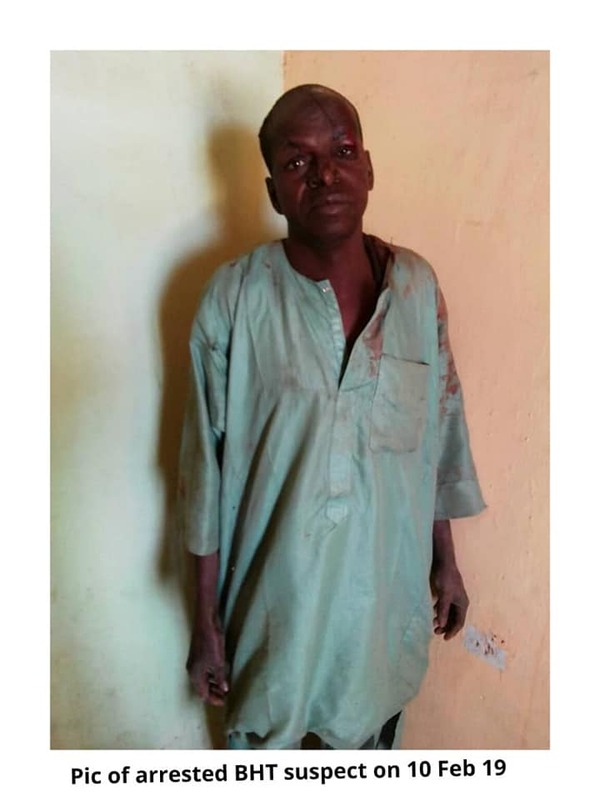 Troops of 143 Battalion, 28 Task Force Brigade, Sector 1 Operation Lafiya Dole deployed in Madagali, Adamawa State had on Saturday, 9 February 2019 successfully dealt a big blow to Boko Haram Terrorists (BHTs) following an attempted attack by the terrorists to infiltrate the Camp. The terrorists who stormed the location in gun trucks and met their waterloo through stiff resistance coupled with massive fire power from the troops and inflicted serious casualty on the terrorists and their equipments. The troops in their effort successfully held their ground, disorganised the terrorists who later lost momentum and retreated in disarray. 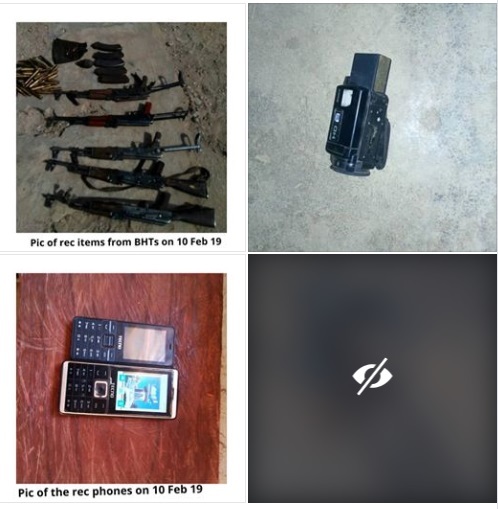 During the encounter, the resilient troops neutralised many insurgents, captured 1 alive while several others scampered for their lives and fled with gunshot wounds. 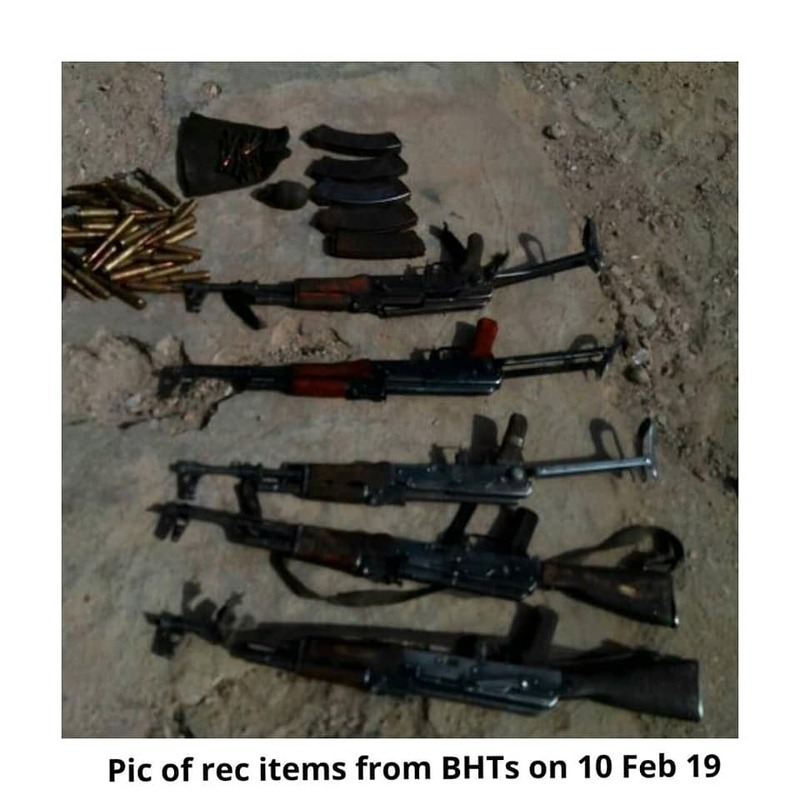 The gallant troops recovered 5 AK47 rifles, 4 magazines, 1 hand held grenade, 13 rounds of 7.62mm special ammunition, 45 rounds of anti aircraft gun ammunition. Also recovered are 2 mobile phones and 1 sony camcorder camera from the BHTs. Sadly, 1 soldier and a civilian paid the supreme sacrifice while 5 others sustained injuries and are receiving medical attention. The Acting General Officer Commanding(GOC) 7 Division Nigerian Army and Commander Sector 1, Operation Lafiya Dole, Brigadier General Abdulmalik Bulama Biu while commending their doggedness and gallantry, also commiserates with the families of the fallen heroes with firm assurance that their sacrifices will not be in vain.